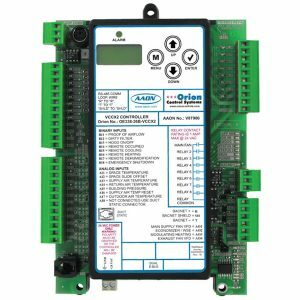 The Orion System Components are designed to be integrated with the AAON®/WattMaster factory mounted controls. The components that are available allow HVAC equipment with installed AAON®/WattMaster controls to be interconnected, networked and expanded to provide a complete building system solution for the customer. When an HVAC unit is supplied from the factory with AAON®/WattMaster controls, the units are complete with all sensors, expansion boards and necessary components to provide a stand-alone system that is ready to operate without any additional components.